Ludo has been popping up here and there while finalizing details of his LudoBites 8.0 to come in January. Last week I found him cooking paella at DomaineLA; this week I found him making his way across Europe, preparing an Italian-inspired porchetta dinner. The dinner was a collaborative effort, with the recipes being Mike Ilic’s, owner of Gram & Papa’s. Ludo executed his menu. Gram & Papa’s is probably best known for hosting LudoBites 4.0, 5.0 and 7.0, so I suppose it’s not at all a surprise to find Ludo popping up here. 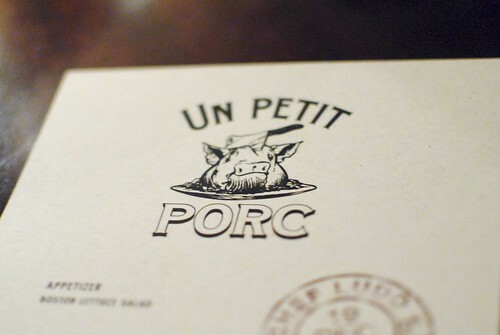 The $33 three-course dinner, centered around a porchetta sandwich, was titled Un Petit Porc. Apparently, this little piggy went to the oven. As with anything Ludo touches nowadays, reservations were hard to come by. After about 41 minutes of calling repeatedly, Remil was able to snag a table and graciously invited me to join his party (joining Joanna of LA in Stilettos and my coworker Yury). Three times were available (6:30, 7:30, 8:30) and we got the first one. We were lucky to have that; later seatings were delayed a bit. Kind of a cute logo, though somewhat disturbing at the same time. 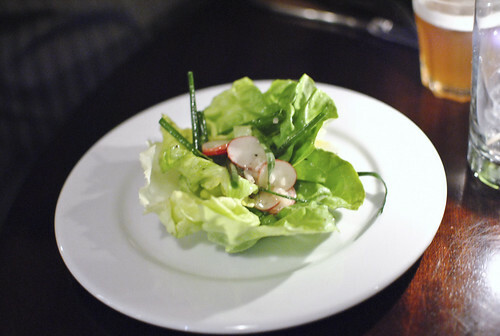 Course one was a rather simple salad of lettuce, green onions and radishes. Clearly, Ludo kept it light in anticipation of the rich porchetta to come. Knowing him, I bet the holiday colors were no coincidence. 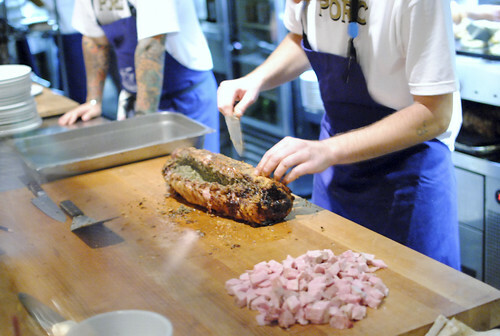 Whole porchetta roasts were periodically coming out of the rear kitchen, to be carved up in front. The smell was intoxicating! Ah, what we’d all been waiting for. 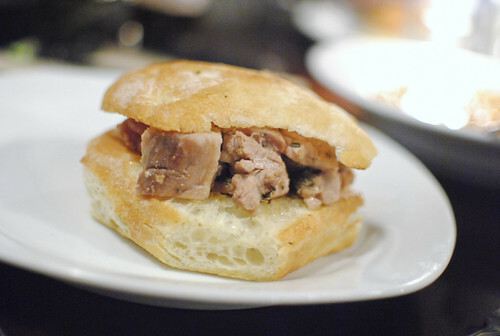 I’m far from an expert on porchetta sandwiches, but I really enjoyed this one. Chunks of herb-scented (rosemary!) 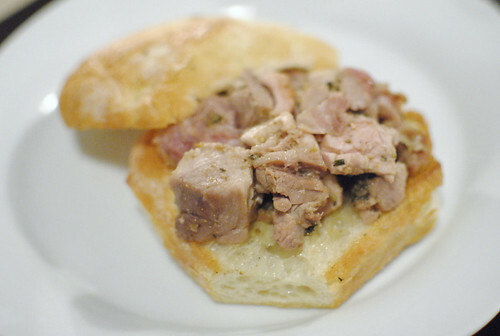 pork were sandwiched between toasted halves of bread. The bread is integral in a sandwich like this; I found this one to be soft and yielding, but also with some toasty texture. There was a nice balance of lean pork and flavorful fat, and the dipping sauce (some type of jus?) made a huge difference, softening the bread and adding some extra depth of flavor. Being a little nitpicky, the pork could’ve been a little more moist and I would’ve liked to have seen more of the crispy skin; regardless, this was one tasty sandwich. When Joanna was too full to finish half of hers, I took it and scarfed it down. Four sides were available to accompany the sandwich. 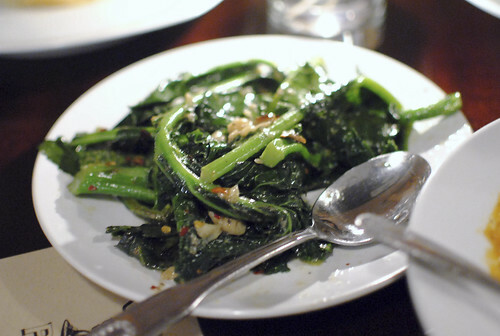 This was a plate of broccolini, well-seasoned with a nice crunchy texture. There was a subtle heat in here too. 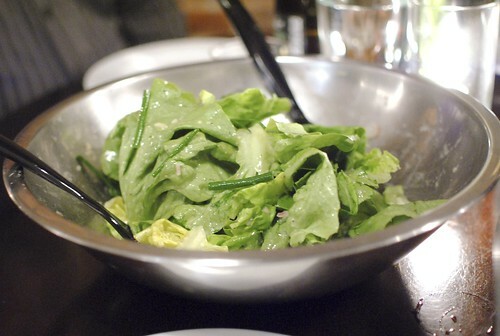 I was glad to get a little more greens in my diet to balance the meat and carbs. 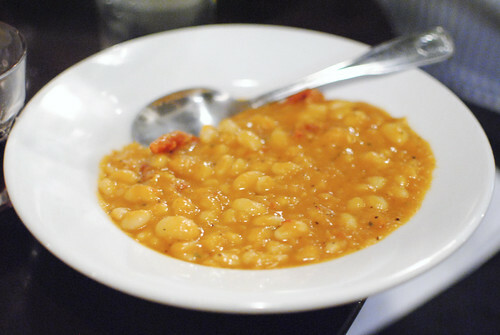 The creamy beans were decent, sitting in a rich tomato-based sauce. Nothing particularly standout, but it was a good bean dish. 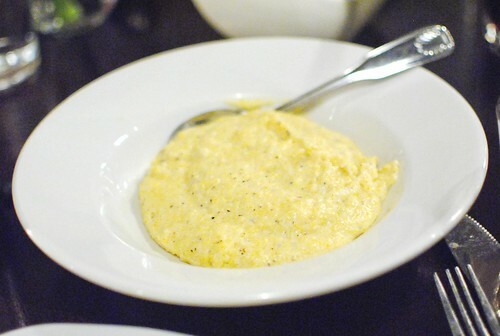 While the cheese and corn flavors were on point, I found the polenta to be overly thick with a glue-like consistency. 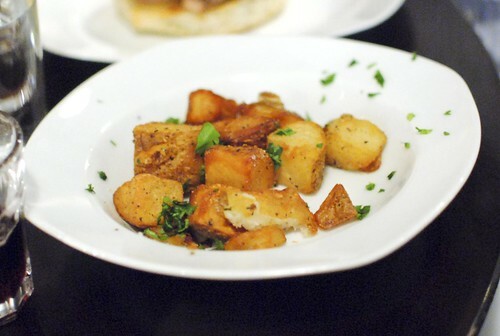 The favorite for me were these potatoes. Really crispy, yet still fluffy on the inside, I couldn’t have asked for more. Well, except for more potatoes. 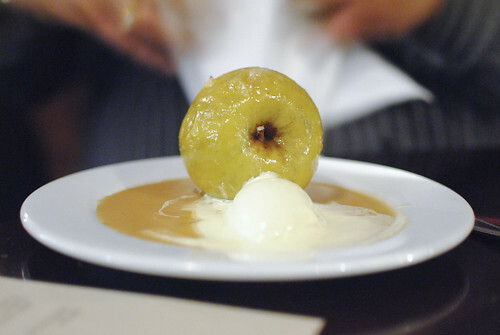 Dessert was this interesting dish of a roasted apple. 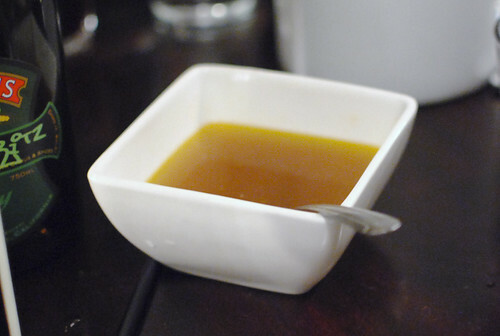 The flesh was fairly soft throughout, sitting in a rich caramel sauce that filled the plate. A scoop of vanilla ice cream completed the dish. Familiar flavors, though I was looking for some texture. I came for a porchetta sandwich and Ludo delivered, preparing what I thought was a delicious and pretty well-executed version. I don’t think the other courses/sides quite lived up to the highs of the sandwich, but the flavors did fit in and helped complement the sandwich. As much as I enjoy some of Ludo’s unique creations, lately I’ve found just as much satisfaction in comfort foods that are slightly elevated with Ludo’s touch. I’m thinking of the fried chickens and souffles, as well as the paella and porchetta as of late. 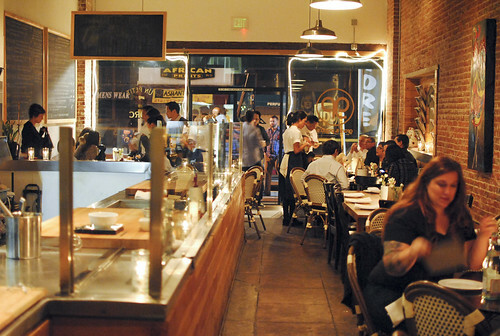 One wonders, if he does open up a permanent restaurant someday, if he will consider a more comfortable, homey concept as well. I enjoyed the dinner as well. Like you, I also wanted a little more of the porc skin. So glad we were able to get a table. A very solid meal. I wish the apple for dessert had been a bit more soft (baked longer possibly), but overall, like you said, a well-executed affair. Agree on the dessert. Glad you could make it! 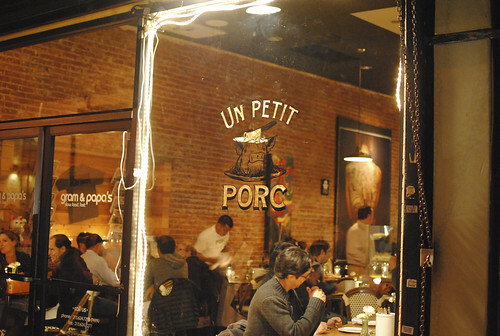 Glad to hear the porc lived up to your expectations. A shame the sides weren’t more exciting. Maybe Ludo should consider a pork-centric restaurant! Ha! I’m sure he could do a great one; I know Jo would be supportive! 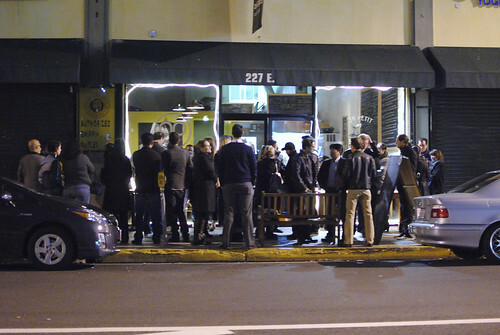 Once Ariccia opens I’ll treat you to a real prochetta sandwich. That looked like more of a roasted loin with prochetta spices. I don’t understand why he would dice and not slice rounds for a sandwich. I did like his logo for the event though. Haha deal! Looking forward to you guys finally opening!